Binq Doors & Windows, previously knows as Brothers Incorporated, was established in 2009 after failing to find a set of quality Bi Fold doors at an affordable price for a small home renovation. Following, we decided to build our own and start selling them online, which is when we realised these doors were highly sought after. Since then, we have outgrown three factories and are now situated in a 2000m2 site in Bayside Victoria, with an ever growing team of passionate people. Our expansion has seen our product range and manufacturing techniques refined and developed to become the market leaders in performance windows & doors throughout Australia. By visiting our showroom, we can assist you in achieving the right aesthetic, energy requirements, overall look and feel of your home by supplying you with the highest quality of windows and doors. Designer Doorware is an innovative, Australian designer and manufacturer of superior quality, premium door furniture and architectural hardware. Our products include door handles, pull handles, sliding door hardware - flush pulls and blade pulls, door hardware accessories, cabinet handles and bathroom accessories. Our contemporary range of designs suit a variety of architectural styles and budgets with thousands of product options to choose from. With Designer Doorware you can express your individual style and give your home the perfect finish. We at Nuline Windows are expert in providing high quality bifold doors, bifolding windows, aluminium bifolding doors, aluminium windows and a premium glazing system. At Nuline Windows, we believe in quality in everything we do. Our wide and extensive range of services includes aluminium windows, bi-folding windows, aluminium doors, glass bi-folding doors, slider doors and stacker doors. Our customers have rated us as highly responsive as we relentlessly pursue excellence in everything we do. 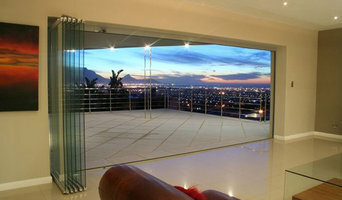 We also offer wide range of customized options for our bifold doors and windows. WE DO HIGH QUALITY SECURITY DOORS IN MELBOURNE Whether you need to protect your residential, commercial or industrial property, you require a service that is reliable and of a very high standard. We’ve been in the business for close to 10 years and can offer the best security doors in Melbourne for ANY suburb. We’re a proudly Australian run company WHO WE OFFER OUR SERVICES TO we’ve accumulated 9 plus years servicing the wholesale sector by creating security solutions for businesses and residential properties in the northern, eastern and western suburbs. We’ve established ourselves as a market leader who’s committed to providing the best customer service and reliable products which have proven to live up to their word. EXPERT SECURITY SOLUTIONS We have a range of products which can suit all your Melbourne home or business needs within the South East suburbs. Offering a number of different custom made security, screens, doors and windows, we have the experience and the industry knowledge to help advise you for all your safety requirements. We’re also qualified to conduct any repairs or maintenance you may require for the eastern suburbs and can complete all installations FREE quickly and professionally. STEEL DOORS ARE SECOND TO NONE Whilst slightly dearer, our security doors in the Melbourne South East suburbs offer a level of protection that their aluminium and timber counterparts simply cannot compete with. Not only will you be offering a greater degree of safety for your family, but you’ll also be acquiring a reliable asset for your property which will stand up to the elements and be immune to damages brought on from termites and fire. Armadale Doors and Leadlight offer a broad range of solid and semi solid doors using a range of timbers, which include cedar, hardwood, solid core and MDF. We will not compromise on the quality of material used and use the best timbers available. Our range of paint grade external and internal doors is manufactured to ensure superior quality in construction and finish. Custom sizes are also part of our service, so whether you are building new or renovating we are able to provide a complete range of matching doors. With unlimited options in design choices and always ahead with current trends, A, D & L are able to create original and reproduction doors and windows. 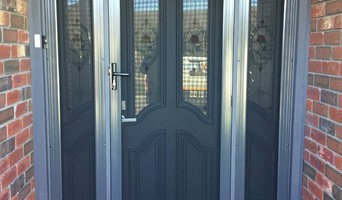 AAA Security Doors are suppliers of security doors in Melbourne. We provide wide range of security doors like steel & stainless doors, aluminum doors and much more. Our aim to gain your trust and ensure security of your home and that’s why we use only quality materials. Why Choose Us • We’ve over decade experience in security doors industry • We use quality materials • We provide standard 1 year warranty on all products • Affordable Solution If you are want to increase the security level of your home, AAA Security Doors is a right choice for you. We give an obligation free quote! Kestrel is one of Melbourne's leading manufacturers of Security Doors, fly Screens, Retractable Screens, Shower Screens, Wardrobes and Mirrors. With 25 years of experience you can rest assure we have the knowledge and expertise to help you create exactly what you want for your home or commercial property. Convenience comes from the ability to find the right solution from a single source. This is the simple principle that guides the dormakaba business. dormakaba provides single components as well as customised integrated solutions covering door hardware, entrance systems, electronic access and data, master key systems, lodging systems, safe locks, interior glass systems, key systems, operable walls and service division. 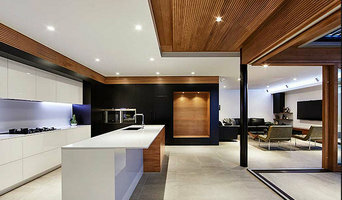 A trusted partner to architects, designers, distributors, fabricators and builders throughout Australia, dormakaba is fast building a reputation for product reliability and impeccable customer service. Direct Locksmiths is an independently owned business incorporating 27 years of industry experience spanning across Melbourne and surrounding suburbs. Our commitment to provide high quality lock smith services drive us and we are proud to be one of the most trusted locksmiths in Melbourne. Budget price security doors is leading security doros manufacture, installers and distrubutors of security doors in Melbourne. Over 40 years of experience in the field. We have been assembling quality security doors in the North Western suburbs of Melbourne since 1975. Our family construct business puts an accentuation with respect to quality and neighborly services. Accommodating administration, giving you exhortation and direction in picking the correct item the first run through, worked to last, on account of your family's well being and security. Australian Premium pet door solutions John & Johnston Group are proud to supply the Australian market with a comprehensive range of Performance Pet Doors made by Plexidor® - a strong, safe, energy efficient and dependable product engineered for years of trouble-free use. Pet doors are often overlooked when considering the design, energy efficiency and security of a home. Investing in the right product can save you money in the longer term. PlexiDor® dog door and cat door products are designed and manufactured in the USA from quality materials and are backed by a 5 year limited manufacturers warranty for residential use. German Technology - Australian Made. Enertec Window & Door Systems is proud to manufacture the best quality uPVC windows and uPVC doors available in Melbourne. We are a family owned window manufacturing business located in the heart of Melbourne's South Eastern suburbs. We specialise in European style double glazed windows and doors that are made using the highest quality German uPVC frames and German hardware. Our aim is to help our customers find uPVC window and uPVC door solutions that improve the liveability, security, and comfort of their homes. Contact our friendly staff today to learn more about how our double glazed windows and doors can help make your home more comfortable in winter and summer, save you money on energy bills, reduce noise disturbances, and make your home more secure. Retail design and manufacture of door handles, door hardware, doors and pretty much anything associated with doors. Buy online or visit our showroom in Melbourne Australia. 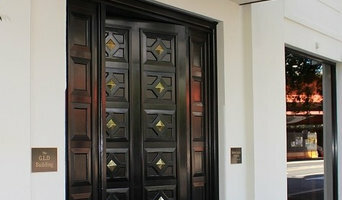 Dial A Door Melbourne is leading provider of security doors in Melbourne and surrounding areas. Established in 1974, ShieldGuard Security Doors and Gates specialise in providing the wide range of high-quality security products at the most competitive pricing. With more than 40 years of experience, we specialise in providing maximum security, maintaining functionality and a touch of architectural style. Our range of quality products, excellent craftsmanship and guaranteed products provides our client with the peace of mind of having the superior security barrier without compromising on the aesthetic appeal of the property. Each of our security products is individually measured and made to order, which provides our clients with the flexibility to create new and individual designs that complement their property. We weld, fabricate, forge and coat our products to make them stand the test of time. We use only the quality fittings and coatings to provide our clients with the value of money and protect their property for years to come. Our Products: Security Doors: steel security doors, wrought iron security doors Security Gates: Automatic gates, wrought iron gates Security Window Grilles Security porch enclosures Security Balustrades Security Enclosures Security Fencing Why Choose Us? Free Measurement And Quote Competitive Pricing More than 40 years of experience Custom-made solutions Quality material and craftsmanship To order new security doors, grilles and enclosures, contact us now! We will provide obligation free price quote. Find an Ormond, Victoria door professional on Houzz. Scroll through this page to find door professionals in your area. Look at project photos and read reviews to find out how homeowners rate their service, expertise and product.